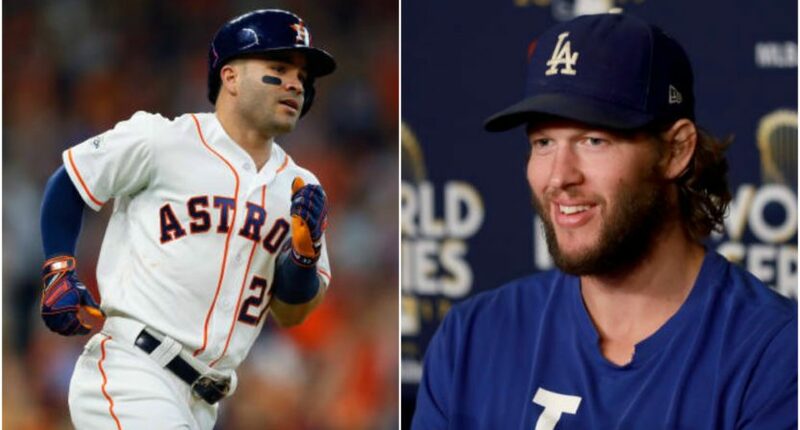 World Series predictions: Who will come out on top between the Dodgers and Astros? Here's what to watch for when the World Series gets underway Tuesday. The World Series is upon us! At 8:09 p.m. ET on Tuesday, Dodgers pitcher Clayton Kershaw will deliver his first pitch to Astros leadoff man George Springer, and baseball’s marquee event will officially be here. To preview the series, we asked our staff what they’ll be watching in the series, which team will win and who will be MVP. Here are their answers. Alex Putterman: Despite all the great starting pitchers on both of these teams, it’s more than likely that at least a game or two will be decided in the bullpens. And that could be a problem for Houston. The Astros have gotten to the World Series despite iffy performance from just about all of their traditional relievers. Over a game or two, manager A.J. Hinch can fake it with Lance McCullers and Colin McHugh, but in a seven-game series he’s going to have to trust Chris Devenski, Will Harris and Joe Musgrove, at least a little bit. The Dodgers, on the other hand, have gotten near-flawless performance from their bullpen, leaving Dave Roberts with a crew of dependable arms. Bullpens have been the story all postseason, and that should continue in the World Series. Matt Clapp: There are countless storylines to watch, but I’ll go with Clayton Kershaw, only because of how tiring the narrative of him and playoff performance is. I’m rooting for him to do well solely because I’m so sick of hearing about this and put little into it (it’s only a 106-inning sample, against great teams often on short rest, and his 3.71 FIP isn’t even “bad”). He looked great against the Cubs in Game 5, and I like the chances it carries over, though the Astros’ loaded offense will provide a very difficult challenge. Joe Lucia: This is a series based around two ace pitchers: Justin Verlander and Clayton Kershaw. Who will have the better two (or three) starts over the next week? That could end up being the deciding factor, because these two teams seem pretty evenly matched on paper. Ian Casselberry: For me, it’s Clayton Kershaw. I think he’s gotten a terribly unfair rap as a bad postseason pitcher. Thanks to Dave Roberts using him correctly, however, and realizing that Kershaw has gotten into trouble when he’s been left in games for too long, that perception appears to be turning around following his NLCS performance. If he pitches well in two starts and maybe makes a relief appearance, shutting down an imposing Astros lineup, the World Series could be Kershaw’s defining showcase. He’s already the best and a likely Hall of Famer, but a great World Series will confirm his legacy. Deesha Thosar: The Astros have a shot of winning their first World Series in franchise history. They haven’t reached the championship round since 2005, when they defeated the Cardinals in the ALCS, eventually losing to the White Sox in a four-game sweep. Who will win the series and in how many games? Alex Putterman: The Dodgers will likely enjoy the starting pitching advantage in four of the first five games of this series, and their superior bullpen give them an edge in the late innings. The Astros have the best offense in baseball, but if anyone can neutralize Jose Altuve, Carlos Correa and company, it’s the Dodgers. Los Angeles in 5. Matt Clapp: The Dodgers get their best position player back from injury in shortstop Corey Seager and would’ve been slight favorites even without him. But the Astros’ offense is the best in baseball, and Justin Verlander looks as good as any pitcher in baseball since coming over from the Tigers. So, I do think it will be a great series, but I expect the Dodgers to ultimately come out on top. Dodgers in 7. Joe Lucia: This is going to be a tight, close series, and I think Houston will have just enough to push it over the line, with Dallas Keuchel being the X-factor when looking at the two rotations. I like the Astros in seven. Ian Casselberry: The Dodgers have been ideally built for the postseason, especially with their trade deadline acquisitions. The Astros lineup will be tough to keep in check, but L.A.’s bullpen depth will ultimately be the difference in this series. I’ll go with the Dodgers in 6. Deesha Thosar: I’ll take the Dodgers in 5. Alex Putterman: Though I am extremely tempted to pick Clayton Kershaw, I’ll go with Corey Seager, who has some narrative on his side as he returns from injury and faces one of the game’s other top young shortstops. Ian Casselberry: The Dodgers have plenty of batters who could win MVP honors in key situations. But after what I wrote about Kershaw, he’s my MVP pick. Deesha Thosar: Justin Turner. He’s slashing .387/.500/.677 in the postseason with three home runs and 12 RBIs. After finishing the season with 21 home runs, the 32-year-old is heating up at the right time.